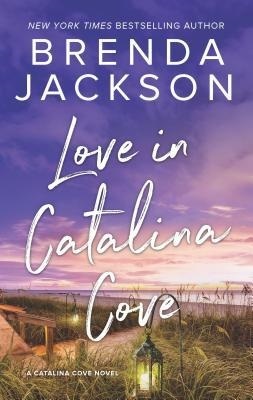 Love in Catalina Cove by Brenda Jackson is the first book in a new series about Catalina Cove, Mississippi. I found the series by accident and was quite glad I did. The books are not just romances, but include family dramas, twists and turns, and mysteries. It does include small town living at its best with everyone willing to help each other and how everyone ALWAYS knows what everyone is doing. I liked how the author also described the gulf shores as well as the bayou. Vashti Alcindor is one of the main characters. She was born and brought up in Catalina Cove. At 16, she became pregnant and was sent away to have her child, one who died right after birth. At 18, she left for college with no desire to every return. However when her aunt died, she inherited her inn. So with a little help, Vashti returned to rebuild and reopen the inn. The new sheriff, Sawyer Grisham first meets Vashti when he stops her for speeding. He was immediately smitten, but starting a new relationship while raising a young daughter in a small town was not a decision to make. Through a series of accidental meetings they find the chemistry between them is hot and needs to be investigated. With all this going on, the story would be complete, but the author has added another hidden mysterious gem. That ties the story lines together and opens up other questions that need answers. As the story line reveals more and more clues, it draws in the reader. I enjoyed the story, Love in Catalina Cove by Brenda Jackson. The story was interesting, poignant and redeeming (OH AND HOT). Born to be Wilde by Eloise James is the newest book in the Wilde series. Lavinia Gray is in a situation. Her mother encouraged her daughter to wear the biggest and best in all clothing. Lavinia’s outfits were always over the top and did not do her any justice. But now, there is no money for her dowry. There is no money for anything. Her mother stole her friend’s jewels and sold them for money to live on. Now Lavinia has to pay the price. She needs to be married to a rich powerful man to save her mother. Parth Sterling is not ready to be married and he certainly is not going to marry Lavinia Gray. So when Lavinia proposes to him, he refuses, but offers to help her find a rich husband. Only problem is he is falling for Lavinia and despite the great candidates he finds, none of them are “good enough” for her. The book was a fun read. I always enjoy the situations and characters in Eloise James’s books. She has a way of making you laugh at the absurdities, but cheer for the underdog main character to find her HEA. Born to be Wilde by Eloise James was a great read. 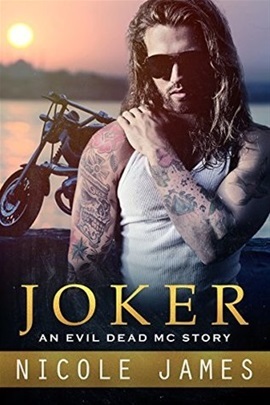 Joker by Nicole James is the ninth book in the Evil Dead MC series. The MC is located in New Orleans which adds some interesting color to the books. Joker is asked by his President to guard Holly, a job he takes with reluctance. Holly has been through some awful things including being kidnapped. She needs to go out on her own and pick up her life, but is not sure how. Joker’s job is to keep her safe and in school. A babysitter for a brat. Just what he wants. NOT. Holly really puts Joker through the wringer and Joker pushes all of her buttons, sometimes on purposes. The two of them were cute together when they weren’t being jerks. Joker has some baggage that shows up and causes havoc in his world which hurts Holly…. Joker and Holly are young, hot and in lust. Joker by Nicole James is a good read. Maxwell by Nicole James is the second book in the Brothers Ink series. Jameson’s career has taken off and lots of people come to the shop to be inked. Maxwell works there, but he knows that it is not his whole life. He is interested in helping Pops out at the gym and helping adolescents get off the street. Until Maxwell meets Melee. She is from the Thai restaurant down the street delivering the ordered food. Melee was mesmerized by the designs on the walls of different tattoos, but as she was deaf unable to speak with Maxwell. Now, he needs to learn sign language and convince Melee to meet him. But the Thai culture is all about respect for their elders and parents. Melee’s father does not like any of the O’Rorke boys and does not want her to have anything to do with them. The struggles of Melee and Maxwell show the difficulty of understanding people and their cultures. Both of them are in love with the other, but neither of them can change. Aunt Tan visits and helps Melee find her independence, but is it enough? Maxwell was a good read. I was surprised by some of the choices by both characters which added enjoyment to reading the book. 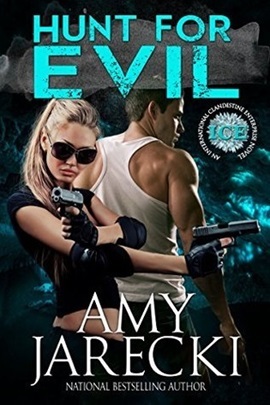 Hunt for Evil is the first book in a new series (ICE) by Amy Jarecki. The International Clandestine Enterprise (ICE) is an organization that is a secret. It is staffed by a number of elite soldiers with varying skills including espionage. Logan Rodgers, a Navy SEAL Commander due to a mission met Olivia Hamilton a spy for M16. Neither is really impressed with the other. Move ahead a few months, they both find themselves as members of ICE and training together for a mission. The mission is one that is very dangerous and could have huge ramifications for both Logan and Olivia. Together and separate they have to depend on their own inner core and each other to survive. ICE, the newest series was part thriller and part romance. I enjoyed the characters, the settings and the dangerous mission. Hunt for Evil by Amy Jarecki is a great start to a new romantic thriller series. 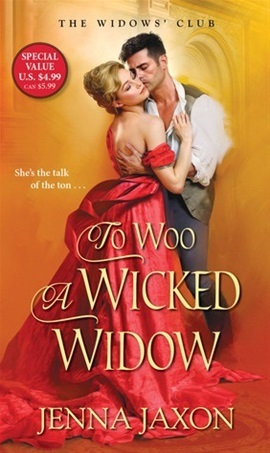 To Woo a Wicked Widow by Jenna Jaxon was a book that I missed in the series The Widow’s Club. It was the first book in the series, however I didn’t find reading the books out of order compromised the story in any way. Nash, the twelfth Earl of Wrotham interested Lady Charlotte very much and the feeling was mutual, except for a rogue that kept trying to get her to agree to his proposal through subterfuge and other nefarious methods. On top of that her father threatened Nash wanting him to “save” his daughter from harming the family’s name by marrying her. What a tangled web was woven by the author! To Woo a Wicked Widow by Jenna Jaxon was a fun read. 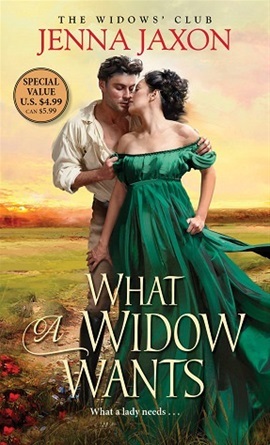 What a Widow Wants by Jenna Jaxon was an historical read that once again brings us into the lives of the ton. This is the third book in the series called Widows’ Club. Each of the women in the club were widows, and determined to run their own lives now. Some of the women do not want to remarry and others just want to find love. Fanny, Lady Tarkington’s cad of a husband has died and she is finally free of the horrid man. She has wanted to be free of him for a long time and has waited her year to restart her life. Matthew, Lord of Lathbury has always wanted her! He originally asked her to marry him before she married the cad. They had an affair halfway through her marriage and she left him and went back to her husband. They have always been aware of each other and now the opportunity to start again has happened. Problems galore happen however, Fanny drags her feet and wastes too much time (according to me) and Matthew is just as bad wasting time. I wanted to smack them both to get them moving…. A mad lord and poor choices lead to a stunning surprise with Hannah and her daughter, but … well Matthew does come up to snuff. I found the book a trifle long, with all the flip flopping of Fanny and Matthew. What a Widow Wants by Jenna Jaxon was a good read. I love reading historical romance! The Risk of Rogues was a short, but brought the glitter and glamor of the ton with the secrets, betrayals and confusion that a good historical romance does to the main characters. Anne and Hartley were in love many years ago. Hartley asked for Anne’s hand, but was denied. He left and she never knew why. She is feeling betrayed and he is confused about where to find her and why she feels betrayed. The makings of a good story are there especially when you add in the secrets of Hartley’s job and the lack of confidence that Lady Anne has with his ‘supposed’ lifestyle. 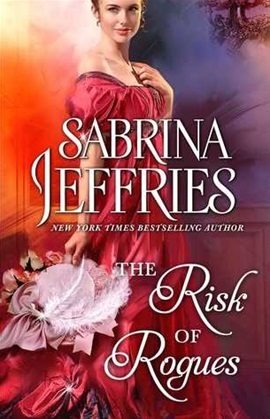 The Risk of Rogues by Sabrina Jeffries was a short fun read. Double Blind by Iris and Roy Johansen was such a surprise for me. I cannot believe I totally missed this series before now. I liked the characters, the situations they were in and how they worked on solving them! This book is listed at the sixth book in the Kendra Michaels series, but I didn’t feel like I had missed out of a lot and was able to dive right in! Kendra Michaels is a music therapist. She works with children with autism helping them communicate or at least respond through the music they play. However, that is not all she does. Kendra was blind for many years and learned to navigate her world using her other senses. However, after an operation, Kendra was able to see. Her absolute powers of seeing, hearing and other senses has led her to helping solve mysteries with her ability to find clues. She is reluctant to help the FBI with the case, but is pulled in anyway. She has help from Adam Lynch - a man who works for who pays the most and private investigator Jessie Mercado. A serial killer and a wedding party - how curious. The book caught my attention quickly and held it the entire book. I loved the wit that was apparent as well as the obvious connections between the characters. The murder mystery was well thought out and led me on through twists and turns and revelations. I was one hundred percent on board with the storyline and characters. Thank you NetGalley for the opportunity to read this book. 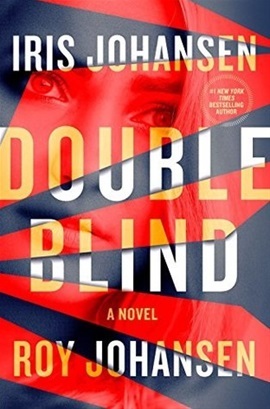 The Double Blind by Iris and Roy Johansen was a great read. Surrender by Joan Johnston was a interesting read. The survival part of the story about terrified me. The strength of the characters and the story line are what makes this novel interesting and draws the reader in. Taylor and Brian were sweethearts in high school, until she broke it up suddenly. Brian was hurt but moved on. Taylor continued to push men away from her, whenever she began to be feel to out of control. Taylor was flying the plan and Brian was the spotter for the smokejumpers, when the plans engines quit. It did not restart and there was no place for the plan to go. Together they jumped and things got even more difficult. Oh - and they still love each other, but neither knows about the other’s heart. This is the first book I read in the series called Bitter Creek. This was book number 11 and I did not feel like I was missing information and enjoyed the characters. Surrender by Joan Johnston was a good book. 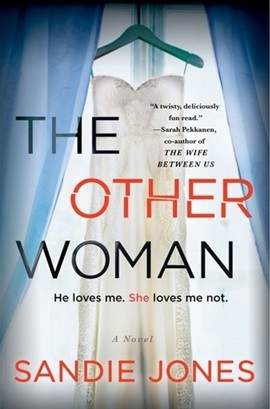 The Other Woman by Sandie Jones is a creepy read. It starts off all hugs and kisses. Emily met Adam. They connected and life seemed to be moving in a positive way for them, until she meets his mother. That is when things get sketchy. It is the insidiousness of the mother’s evil ways that register with the reader. Emily knew her complaints sounded innocuous, but they were not. Embarrassed and uncomfortable Pammie (Adam’s mother) seems to purposely “misunderstand” things and constantly has little digs and dingers. Eventually, the mother interferes with Emily’s relationship with Adam - and that is before it gets creepy. I think what makes it the creepiest is that everyone has one person (some even could be mother-in-laws) that just seems to be wrong. Every word out of their mouth is some kind of indictment on you. Pammie is her. That woman. You think. The Other Woman by Sandie Jones was a cringeworthy read. You cringe because you know something is going to happen - you just don’t know - what. The book kept my attention and even when things were awful, I just had to find out what was going to happen next. The Other Woman by Sandie Jones was a good read!! My Fair Lover by Nicole Jordan is a pygmalion story in reverse. Lady Katherine Wilde is a beautiful lady of the ton. She has found her way through all the pitfalls available, but not yet found love. Brandon Deverill has come into a title, but being an American, he needed some tutoring before he began his new role. Katherine takes on the task in trade for Brandon helping her find the wreck of a ship that took her parents’ life. However, Katherine and Brandon know each other from 6 years prior. Katherine had a wicked crush on him and offered him her if he would just stay. Obviously, it failed and Katherine was crushed and determined not to let a man decide her fate again! Brandon had other plans including capturing Katherine as his wife, but no need to love her! My Fair Lover by Nicole Jordan was a good story. I thought Katherine and Brandon were good together and I enjoyed their relationship. The book was a fun read. Zander by Maryann Jordan is part of a new series called Heroes at Heart. This is the first book. After the military, he bought and renovated a bar, naming it Grimm’s for the fairy tales that Miss Ethel used to teach him to read. Zander’s bar is a bit rough and he doesn’t allow behaviors to interfere with the patrons. It is in this context that an incident occurred that Zander feels guilt for. The woman hurt has no identification and is seriously hurt. It is from this premise that the story morphs into a story that is reminiscent of Sleeping Beauty….with a twist. I am late coming to Maryann Jordan and her series, but I feel strongly that this particular series is going to be awesome and I am looking forward to reading the stories about the other “Heroes at Heart.” Zander by Maryann Jordan is a good read!